Are 19 VAT-free items enough to save the poor when VAT hike hits? It’s Banting promoter Professor Tim Noakes' worst nightmare. The prices of carbohydrate-rich foods and sugar continue to drop, while protein and vegetables are becoming more expensive. Statistics South Africa released the Consumer Price Index for May on Wednesday, showing inflation had slowed to 4.4% year-on year, down from 4.5% in April. The announcement surprised economists, who expected the full impact of fuel price hikes and the Value Added Tax (VAT) hike to 15% to be felt more sharply in May. Behind the slowing in inflation is the price of several food items continuing to fall, leaving inflation comfortably within the South African Reserve Bank’s (SARB) target range of 3% to 6%. Bread and cereals - on average are 4.1% cheaper in May 2018 than they were a year ago. 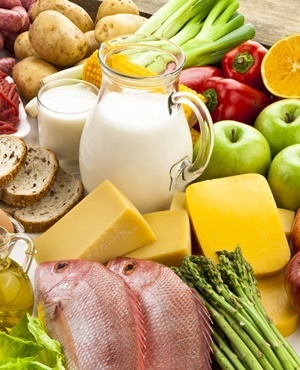 These are key staple food items for millions of South Africans. Oils and fats - another key staple item for many costs 1.4% less in May 2018 than in May 2017. Fruit - costs an average of 6.4% less than a year ago. Sugar, sweets and desserts - are 4.3% cheaper than May 2017. Meat and fish - are growing increasingly expensive, with costs having risen to between 7.8% and 6.8% more than a year ago. Milk, eggs and cheese - prices are up 4.4%, and these food items are a source of protein for many. Vegetables - fruit might be cheaper, but the costs of vegetables have risen on average by 3.6% since May 2017.